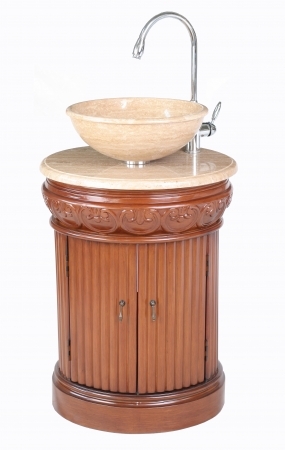 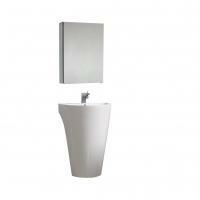 This round bathroom vanity is enhanced by the vessel sink that it holds. 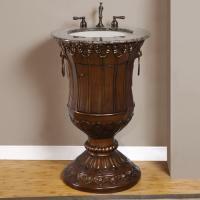 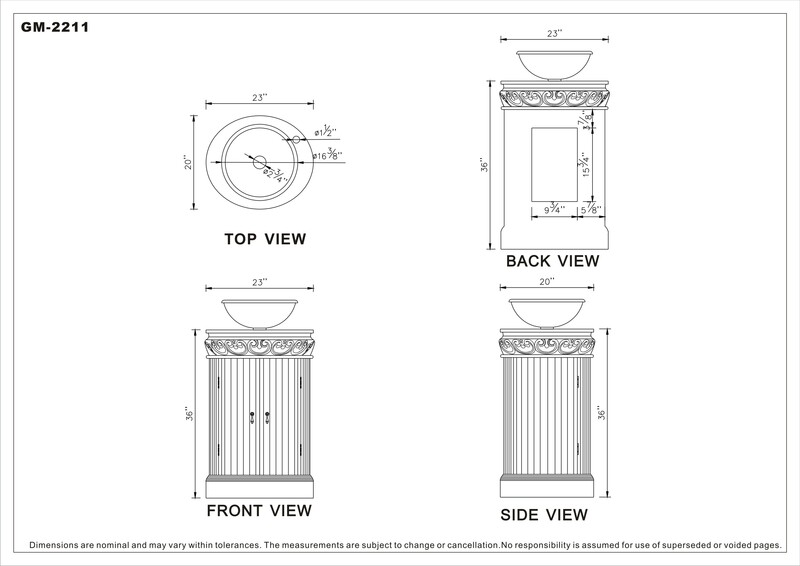 The wood carving around the top of the piece adds an elegant feature that will look great with many styles of bathroom decor. 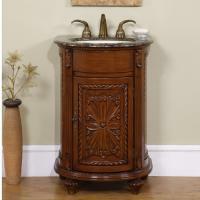 The dark cherry wood finish adds a warmth to the room, and the double door cabinet provides nice storage space.